Hydrazide-based Hypercoordinate Silicon Compounds (Daniel Kost, Inna Kalikhman). (Il Nam Jung and Bok Ryul). Transition Metal Complexes Containing All-Carbon Ligands (Michael Bruce). Almost all branches of chemistry and material science now interface with organometallic chemistry - the study of compounds containing carbon-metal bonds. 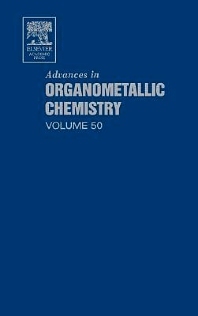 The widely acclaimed serial Advances in Organometallic Chemistry contains authoritative reviews that address all aspects of organometallic chemistry, a field which has expanded enormously since the publication of Volume 1 in 1964. Academic and industrial inorganic and organic chemists.